Look no further than the Carron stoves which have now been Defra approved, which means they can be used to burn wood legally in a smokeless zone. One of our favourite and best selling stoves are the multi fuel Carron red enamel stoves. The superb large viewing window and clean solid looks make this stove a top seller, along with the capability of the Carron stoves to burn all solid fuels. It has a primary air intake built into the door and secondary air to help keep the glass clean. 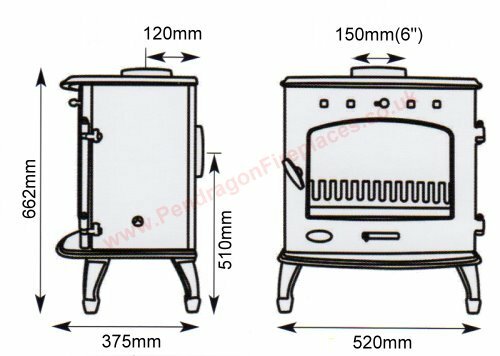 Overall a beautiful enamel stove at an affordable price, highly recommended. SPECIAL OFFER - When purchasing this stove, a 900mm flue pipe will be added to your order on despatch.